Today I am stealing borrowing an idea from another blog which I enjoy very much. Then again, imitation is the highest form of flattery my Mum used to say. Coming to us from Vermont, not a place I generally associate with microbrewed beer, Circus Boy is an offering of Magic Hat Brewing Company. It is unfiltered, but without cloudiness or sediment. 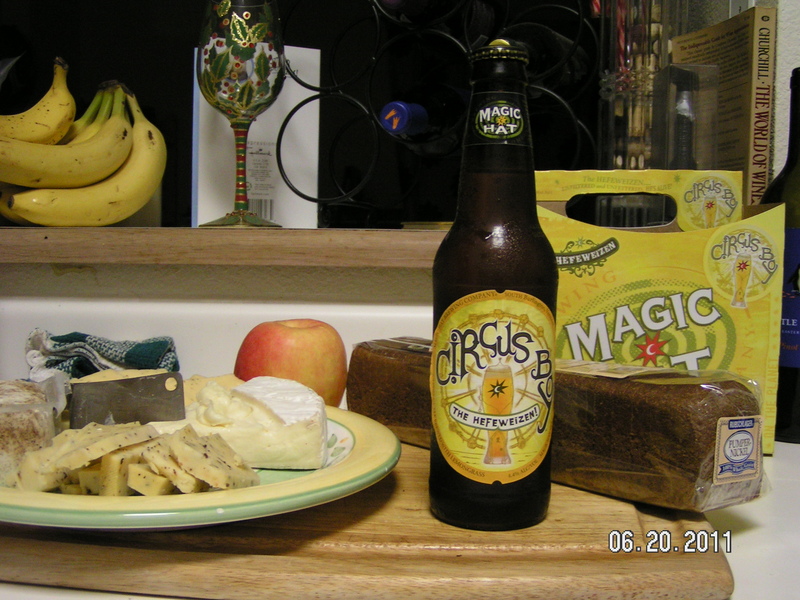 At 4.4% alcohol, it has a bit of a kick while remaining light, refreshing and tasty…everything a hefe should be. I found it to be a great poolside beverage, sliding easily down my parched throat…although the glass container at the pool might raise some eyebrows. I tried it with traditional pool party food: bacon wrapped shrimp, pulled pork tacos, chips and queso. I plan to try it in some pulled pork, but more about that later. I would definitely recommend picking up a six pack (or two…maybe even three?) of this beer to enjoy any time. Actually, I think I’ll have one now! Coming to you now with smilies 😀 Thanks Aggie! I’ll keep an eye out for this. If you like the bit of lemon taste with a wheat beer, you might try Leinenkugel Summer Shandy. I’m not sure if it is actual hefe, but it has a very similar taste.